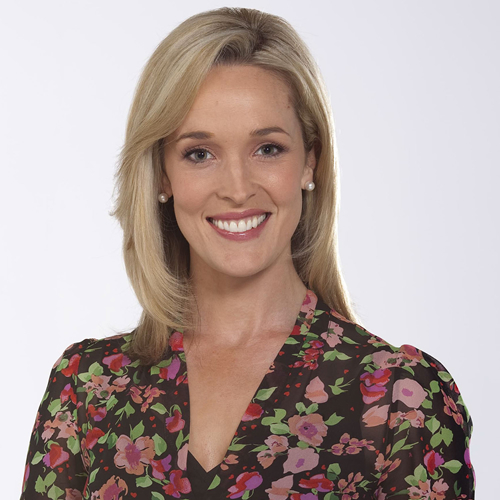 Louise Momber joined Nine News as a Senior Reporter in 2007 – and has had more than a decade of broadcasting experience. Louise is now the Weekend Presenter and Associate Producer of Nine News – two roles she is extremely passionate about. Two of the most memorable stories she covered during her time as a reporter include the discovery of the HMAS Sydney off Geraldton – and Claire Murray’s unprecedented fight for a liver transplant. In 2008/09 Louise presented Perth’s own edition of A Current Affair, which won three awards and increased ratings in the highly competitive 6.30pm timeslot. In this role, Louise interviewed high-profile personalities such as Michael Parkinson, Kevin Sheedy, Lleyton Hewitt, comedian Judith Lucy and Tina Arena. A live, 20 minute interview with former Premier, Brian Burke also received widespread attention. Louise has always had a passion for news – and started out studying Journalist & Public Relations at Curtin University. After graduation, she worked in the West Coast Eagles Membership and Marketing Departments, then studied Broadcasting at the WA Academy of Performing Arts (WAAPA). After a sting as a radio newsreader with Austereo – she confidently made the transition to TV news reporting. Louise is also a first class MC and has hosted IGA Carols by Candlelight, WA Symphony Orchestra in the City, WA Media Awards, Lions Children of Courage Awards, Multiple Sclerosis Society of WA Gala Dinner – as well as many other corporate and government events.